Catching up after a Christmas visit to Puerto Rico, I came across this interesting post in Marion Nestle’s Food Politics Blog, Christmas health advocacy, Mexican style. Mexico has been at the forefront fighting the consumption of sugar-sweetened beverages, including implementing a soda tax, which has decreased soda consumption in the country. These efforts have been in response to Mexico’s high obesity rates and incidence of related health conditions, including diabetes. 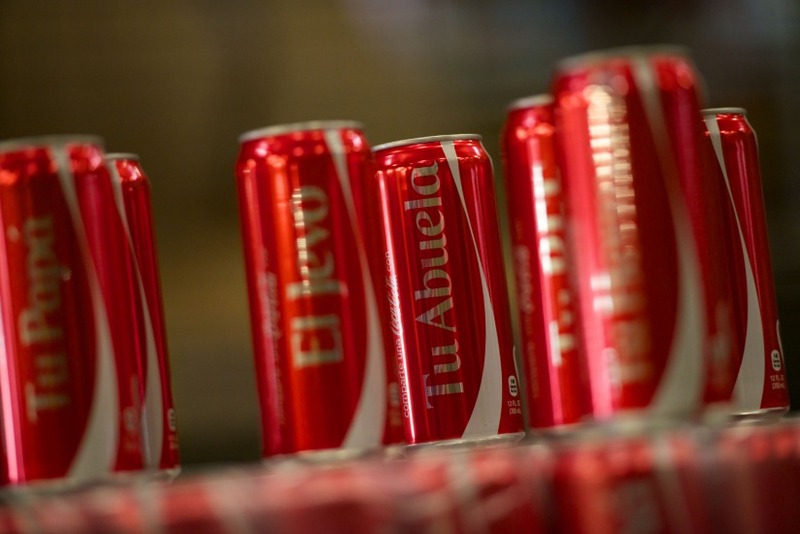 The campaign includes the most common last names in Puerto Rico, colloquial nicknames (for example, “Panita” and “Jevo”), as well as positive emotions such as “love” and “happiness”. 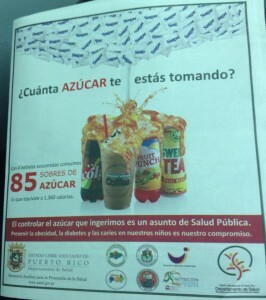 Quoted in a local newspaper, Puerto RIco’s Coca-Cola marketing director underscores the role of this soda in “uniting people for more than 128 years to create moments of happiness” (my translation). Yet, the same moments of happiness can be achieved over an icy cold glass of water, lemonade, or an equally cold Medalla (the local beer, in moderation). Not surprisingly, this ad was received with criticism from representatives of Coca-Cola and Pepsi. Sadly, the opposition was also shared by members of one of the main political parties, the (pro-statehood) Partido Nuevo Progresista (PNP), claiming “negative effects for the consumer”. Similar opposition can be found from a proposal for a soda tax of 14 cents per liter in the island. In the end, push-backs like these, masked as being in favor the consumer, are unfortunate examples of the political barriers facing public health, despite the deleterious effects for the population.